ASP.NET Core is the latest web framework from Microsoft that supports development with C# and the .NET Framework. In this latest incarnation of ASP.NET, you can choose to use an alternative .NET framework called .NET Core in order to deliver on some amazing new promises from the Microsoft team. By using the .NET Core framework with ASP.NET Core, you can develop and publish your applications on non-Windows platforms like MacOS or Linux. In this article, we’re going to review the steps you need to know in order to build and deploy to a Linux server running Apache. Don’t let the name fool you, this is a brand new web framework from Microsoft. It has been re-written from the ground up based on the lessons they learned from its older sibling, ASP.NET 4.6. The ASP.NET team took some steps away from Microsoft’s traditional methods and made this in a way that focused on the community first, and delivered enterprise grade features along the way. ASP.NET Core is completely open-source, with code available on GitHub. I started with a basic ASP.NET Core application without security configured, and removed everything that wasn’t the front page of the application. Next, the Telerik ASP.NET Core UI controls were added to my project so that I could generate a map in the middle of the page. This was easy to do, by adding a NuGet source to my project for the Telerik NuGet repository and then adding the controls package from the NuGet Package explorer. This configuration will instruct the apache user to start the StartMyApp script that we wrote earlier. If there is a problem, it will wait 10 seconds and attempt to restart the application. Finally, the information about this application will be written to the system log with the identifier “myapp”. 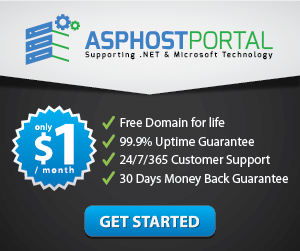 If you are looking for cheap Linux dedicated cloud server, we recommend you to host with asphostportal, their price starts from $9.00/month.